Since 1988, Br. Robert has made a wide-ranging impact on his alma mater. Whether he is chatting with a student on the Quad about an assignment, lunching with colleagues at the Kelly Commons or spreading Christmas cheer at the Jasper Jingle, Brother Robert Berger ’73 is a fixture on the Manhattan College campus. A religious studies professor and resident director of Jasper Hall, Br. Robert recently completed his 40th jubilee year as a Brother and his 27th year at his alma mater. Before returning to Manhattan College in 1988, Br. Robert taught mathematics and religion at Christian Brothers Academy in both Albany, N.Y. and Lincroft, N.J. He also served as the assistant chaplain at the Aquinas Institute of Princeton University. 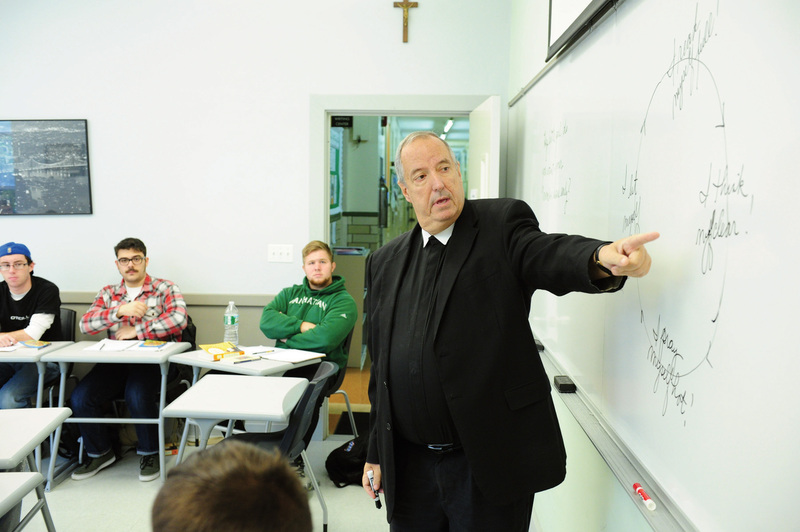 Named Manhattan College’s Distinguished Lasallian Educator in 1994, Br. Robert has been a member of the religious studies faculty since 1989. 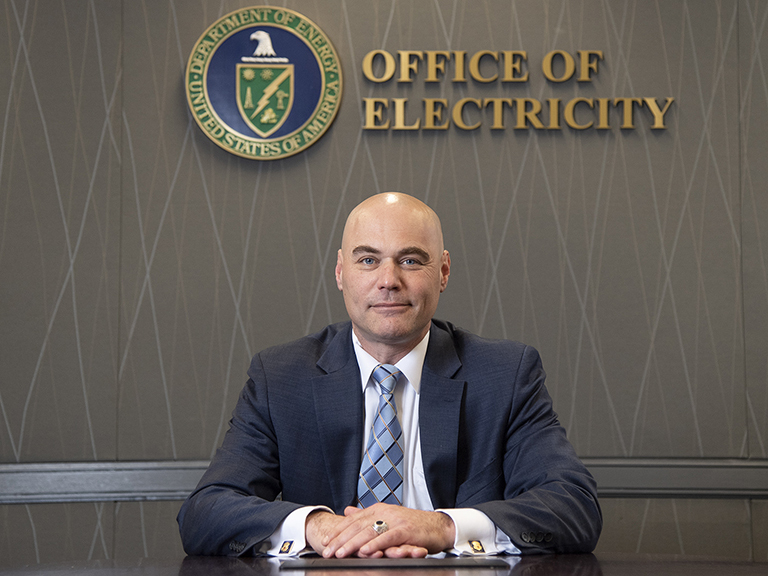 During his time at Manhattan, he has served in a number of roles, including director of Campus Ministry and vice president of Student Life, in which he was responsible for several upgrades in a number of areas on campus, including athletics, student activities, public safety and residence life. Personifying the College’s devoted alumni network and its caring faculty, Br. Robert’s connection runs deep to many Jaspers. John Bennett ’03, the College’s director of Student Activities, is just one alumnus who has remained close to Br. Robert from the time he was a student. In July 2007, Br. Robert was elected delegate to the general chapter meeting of the Brothers of the Christian Schools that met in Rome. Saying he “knows Rome and Florence better than he knows the Bronx,” Br. Robert has also led the College’s annual study abroad trip to Florence each summer since 2007. “It’s a great combination of Italian and religion classes, trips to outstanding museums and churches, and a whole lot of gelato,” he jokes. Not only has he made an impact on Manhattan’s campus and on the annual trips to Italy but also Br. Robert is a district council member for the Brothers of Christian Schools’ District of Eastern North America. For the past 30 years, he has assisted men and women in the ministry of spiritual direction and led eight-day retreats. As a faculty member of the Lasallian Leadership Institute, he has given several presentations on Lasallian spirituality. Despite a busy schedule, Br. Robert says his work and his interaction with students, past and present, has been the best part of his time at Manhattan College.